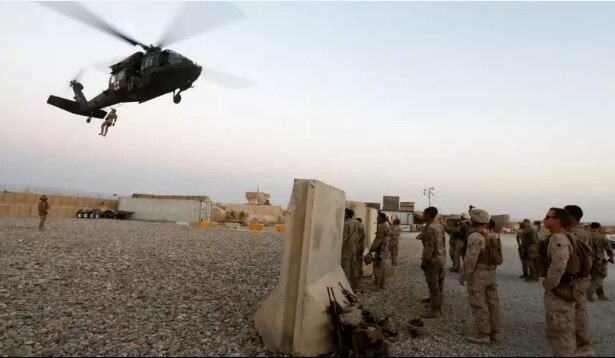 President Trump has signed off on sending an additional 4,000 troops to Afghanistan, ahead of his address to the nation Monday night, Fox News has learned. Trump is set to unveil his strategy for Afghanistan, becoming the third commander-in-chief to attempt to stabilize the war-torn country and forge a victory in what is now America’s longest war. An estimated 8,400 U.S. troops are currently in Afghanistan. The speech is scheduled for 9 p.m. EDT Monday. The president will deliver the nationally televised address to troops stationed at the Army’s Joint Base Myer-Henderson Hall, located next to Arlington National Cemetery. A big part of tonigh’t speech will include “asking the region to do more,” specifically asking India and Pakistan to do more to bring the Taliban to the negotiating table, a senior U.S. official told Fox News. Already, the Trump administration has ramped up airstrikes in Afghanistan this year: 1,984 from January to July, nearly triple the amount from the same period in 2016, according to the U.S. Air Force. Trump tweeted Saturday that he had reached a decision on the way forward, after meeting to review options with top advisers at Camp David. While the president has not revealed the contours of his plan, associates expect he will keep U.S. troops in the country and possibly approve sending thousands more. “I think he is going to give [his generals] a chance to prove what they want and their strategy,” former Trump deputy campaign manager David Bossie told “Fox & Friends,” noting that Trump can adjust the plan in the future. The stakes are high. Some 16 years after the 9/11 terror attacks, which first drew U.S. forces into Afghanistan, the local government controls just half the country – beset by the Taliban insurgency and terrorist factions. An Islamic State affiliate has been hit hard but continues to attempt major attacks. Politically speaking, Trump also is trying to hit reset after perhaps the rockiest stretch of his presidency, one that saw multiple staff shakeups and an all-consuming controversy last week over his response to the violence in Charlottesville. The president took heat for repeatedly blaming “both sides” for the clashes at a white supremacist rally, where a counter-protester was killed in a car attack. The response was met with a bipartisan rebuke from members of Congress and a wave of resignations from various corporate and other advisory boards. Refocusing on national security, Trump is now faced with one of the most complex and difficult military challenges. In Afghanistan, Gen. John Nicholson’s comments suggested the Pentagon may have won its argument that the U.S. military must remain engaged in order to ensure that terrorists aren’t again able to threaten the U.S. from havens inside Afghanistan. “I assure you we are with you in this fight. We are with you and we will stay with you,” Nicholson said during a ceremony at Camp Morehead, a training base for Afghan commandoes southeast of Kabul. The added forces would increase training and advising of the Afghan forces and bolster counterterrorism operations against the Taliban and the Islamic State affiliate trying to gain a foothold in the country.